Can you believe it? We are at the final step. When you first started this course I was in a broke and broken place in my life. Over these past few days you saw how I became my own rescue and saved myself. I’ll never forget walking into the bank and the young teller asking me how I grew my bank account so quickly. Today I will show you how I earned six figures by using everything I shared plus this one final step. Before I tell you what I did, I think you should congratulate yourself for finishing this course. I really hope that you were inspired, enlightened and encouraged to become your own rescue. If I could do it, you can, too. Now… on to that final step. Do you recall me telling you to MAKE SURE YOU GET RESULTS when you first start offering your products or services? 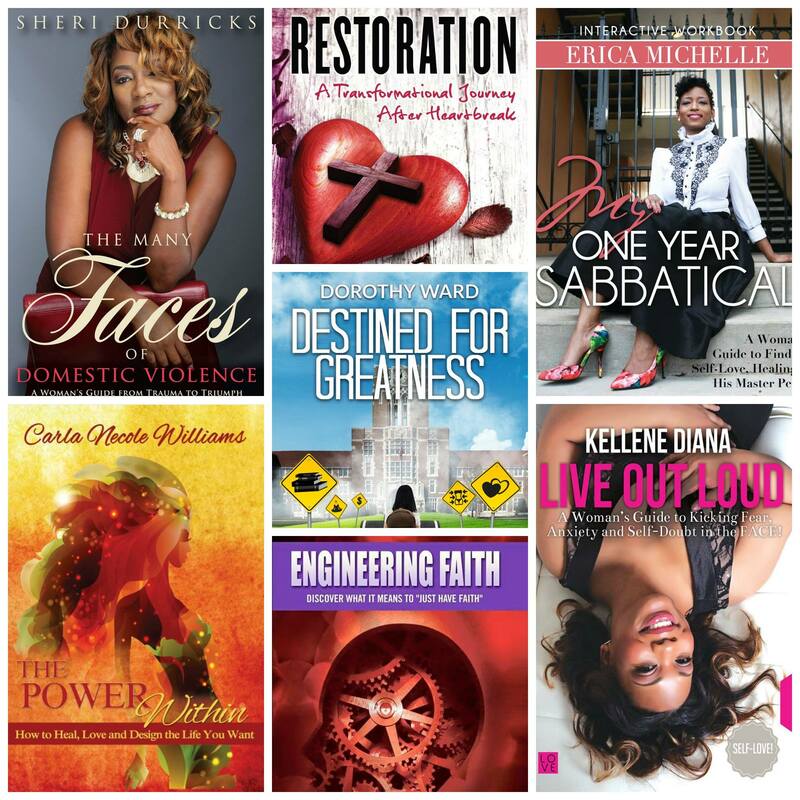 These are some of the books I helped my clients write who joined my Best Selling Message Mastermind. I gave my all as I helped each of them develop their ideas into messages for their platforms. After working with me they had programs, products, workshops, proposals and books based upon their own unique message. At the end of the mastermind, they all self published their books and I helped them to reach #1 status on Amazon!!! Many of my clients went on to do so many wonderful things with their message that I helped them to create. Word began to spread about what I was able to help my clients create and achieve. My clients began referring people to me who wanted to work with me on a personal basis. This is how I began to earn even more money. There Are Levels To This!!! I began to offer private coaching packages for more money. You see, once you get results and people see those results (SOCIAL PROOF), you can command higher prices for your services. Here’s why. You can charge more money for your time. Private clients require more of your personal time; therefore, you can charge them more money. I created levels of private packages that ranged from $2,500, $5,500 to $10,000. Yes… up to $10,000!!! People will invest in your services when they see the results you can provide. I also started offering 90 minute consultations at $250. Sometimes, people just need a session here or there, not an entire program. I earned six figures by offering group coaching programs and higher end coaching packages. However, after my fist year in business I switched to a subscription based model where many people could pay me at a lower fee per month. This model works just as well, too. Based upon my feedback from the membership model, I realized that people needed more support in terms of getting started and could use shorter classes on various subjects. That is why I started my online school to offer those stand alone classes and well as mini courses to help new online entrepreneurs. Those classes can range from $27 to $97 dollars. 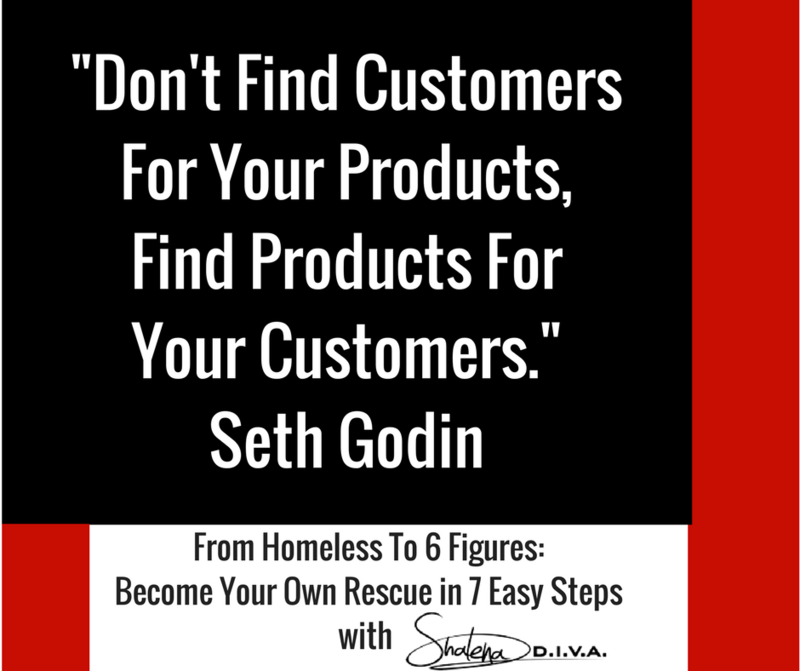 Today, Your job is to figure out how you can offer different levels of service to create more products and cashflow. You are not reinventing the wheel each time. You are simply repurposing what you offer and providing different levels of service. You are also offering different ways for your customers to learn from you. Don’t let the fact that I offered higher end programs and products discourage you. You can offer smaller ticket items and earn just as much if not more money. You’ll soon realize that it’s all a numbers game. Remember, the more time and effort you put into a product or service, the more you can charge. Hopefully, you have started to think of ways that you can scale your business and offer your services to more people for more profit. P.S.-This journey is just a taste of how you can radically change your life and business in my Homeless To Six Figures Course. The price is doubling in just a couple weeks. Check it out here.